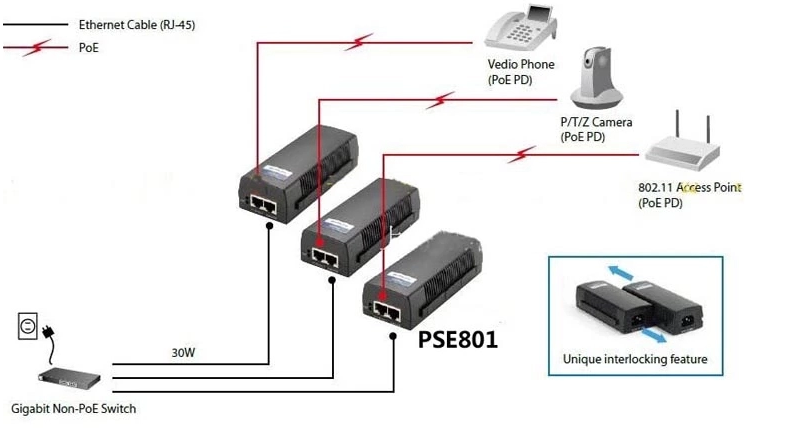 This high power PoE injector supports Midspan MODE-B PoE power protocol and has 30W output.It supports up to 10/100Mbps communicating speed, and 100VAC~240VAC wide range input voltage makes it work stably with different voltage standards. With PoE output, you will no longer need any external power. This PoE injector meets your every project requirement such as a router, wireless AP and other devices that use standard PoE protocol.